Social media overload is real. Being a connected educator can be overwhelming, especially if you have been given a ton of information at once. Do you ever wonder how colleagues stay so connected and make it look so seamless? Let me let you in on a little secret. They all use sites and/or apps to manage their connectedness. Some apps, like Instagram, allow you to set up this feature in the app. Other times, using a different site and/or app is more ideal. 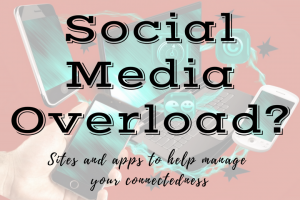 I’m sharing a few of my favorite sites and apps to manage my connections, and I’ll also share one that came up repeatedly when I asked my PLN for their favorite social media management apps. Everypost is my go-to app to post to multiple social media accounts at once. It connects Facebook, Twitter, Tumblr, LinkedIn, Dropbox, and e-mail. I use this app most often because it allows one post to be shared and posted across multiple platforms. For example, if I want to share something on Twitter, Facebook, and to my LinkedIn feeds, I can post on Everypost, choose those social media accounts, and let Everypost do the sharing for me. 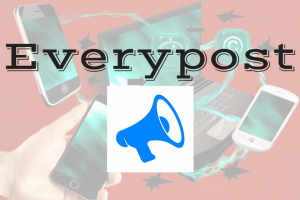 Everypost is also handy for scheduling posts. Connected educators often schedule posts days in advance. I’ll often share posts for two weeks. This allows me to curate awesome resources to share as I find them without flooding my friends’ newsfeed. Tweetdeck is my favorite site to use for Twitter chats. 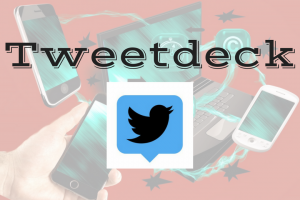 Tweetdeck allows users to set up columns of information to follow on Twitter. It can be a hashtag, person, list of people, or topic. Tweetdeck is great for Twitter chats because you can organize columns so that only the tweets that contain the chat’s hashtag will show. I set the column for the chat and my notifications column next to each other so that I can see when someone replies directly to me or has retweeted or liked a tweet. It also comes in handy when chats happen at the same time. I get caught up participating in both chats and Tweetdeck makes it easy to follow both chats. 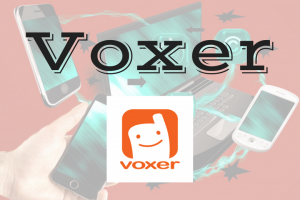 Voxer is an app that I was introduced to at AASL National Conference. I admittedly had never used it, but immediately loved it. It’s great for messages that are too long for a text. It works with PTT (push to talk) much like a walkie-talkie. Within the app, you can create groups, record and send messages, and listen to messages live or later. My favorite part is that when someone is recording, I can listen to it then or if I’m busy and can’t get to the message, I can listen to it and respond later. Voxer is intuitive and can be set to work as a speaker phone; it also senses when it should be used in handset mode. Another awesome feature…voice notes! If you’re like me, you have ideas at weird times or while you’re driving. With Voxer voice notes, I can leave myself messages. Messages can also be downloaded and transcribed! 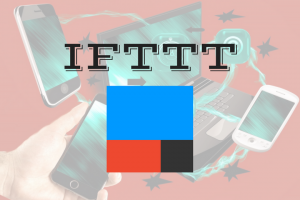 If this, then that (IFTTT) is an app that allows you to set conditionals for your posts. It also pairs with multiple devices across multiple platforms. As their site says, not everything on the internet plays nice. Using IFTTT can also connect your devices, not just your social media accounts. I’ll admit. This app can be a bit overwhelming. I turned to my PLN for help in explaining IFTTT’s capabilities and how it helps to manage social media overload. How do you keep up with your social media accounts? What sites and/or apps make your posting easier and keeps you from social media overload?